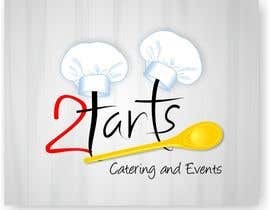 It is a catering company owned by two female chefs. They are looking for a funny funky logo that will be catchy and fun. The Logo will be used on various applications from silk screening and vehicle branding. I hope this isn't a fake contest :) So, CH please announce the winner! and create your cliparts hah! please rate #156 -------> thank you! Please rate #140? Thank you! could you rate #120 please? thanks!!!! could you rate #110 please? thanks!!! Well a tart isn't a cup cake, And the 2 tarts, And I don't look at who sent what I don't care who copied who I don't want to get involved in the politics I just want a cool catchy logo. 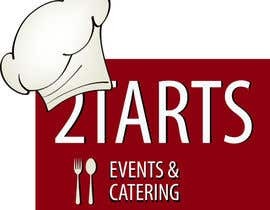 Then the tarts in 2 tarts are referring to Slang . a prostitute or promiscuous woman. But it mustn't be smutty and slutty but rather clever. he is right! You have to say at first these "themes". In this way all is unfair. They have a smart subliminal message. I LOVE the name! Brilliant and so open to naughty interpretation...I hope I get a brainwave for this competition! I think you are the only one that gets the concept. Please do a design? Please check #84 #85. Thank you. 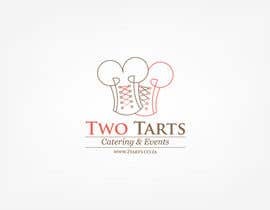 Googled www.2tarts.co.za and was direct to 2tarts.com. Same story, they are two chefs from TX. Are they opening another store? Hi Everyone, I don't want food in the logo. No fast food or cupcakes or tarts. O.k then why is there a tart? No food in the logo ? :) Also I see that you gave 4 stars to a copied concept. #63 is a copy of #45...this is unfair don't you think? Good day, CH! Feedback on #52 please. Thanks! Hi, Please check #49 Thanks. The client does events & Catering, So they cater for weddings and parties like restaurant food. Please check out #24, #25, and #26. Thank you, always room for improvement if you want. Is is only baked goods (pie's, cakes, tarts, etc.)? Or is there other items as well. Maybe we could get a a quick list of items being sold. It will help in Creating the best design for you.